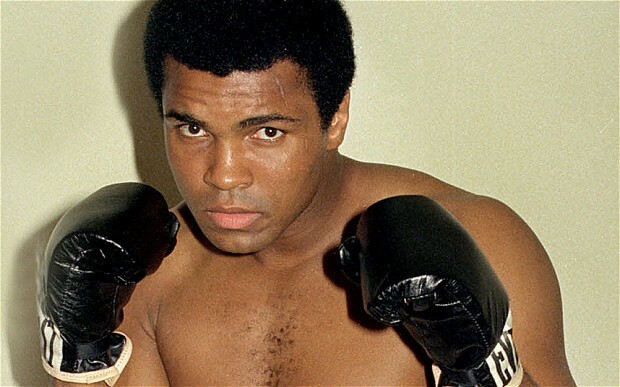 BERRIEN SPRINGS, Mich. --- Andrews University announced today that the school's campus will be moving "now that Muhammad Ali no longer lives in Berrien Springs." Although the statement said that a new location has not yet been selected, Andrews spokesperson Meesha Waka said that the only reason the university had stayed in the sleepy southwest Michigan town for so long was that Ali had a residence in town and "living next to The Greatest gave us bragging rights entirely unique in Adventism." Administration will commence the formal search for a new campus location next week. Waka admitted that the process would be difficult but that university leaders would seek to streamline the hunt spurred on by the boxing great's own words: "I’m so fast that last night I turned off the light switch in my hotel room and got into bed before the room was dark." Mad about BarelyAdventist? Listen to our Spectrum interview. Never saw a hotel when I lived there. Just saying. Take Grove out to US 31 and it’s across the road. Hard to miss. Used to be a bakery in the back, too. Kaleb, I would reply to your comment, but I am on a social media fast. I am abstaining from making any comments or replying to any comments on this site. Yo, Kaleb-didn’t that run down place across the street count as a motel? You better off staying over in St. Joe or in the South bend area. Nobody to break into your car. Low crime area. You know the routine! Catch you on the rerun. Hey, wise guy, isn’t that across the street from the state hospital (a/k/a insane asylum)? Who cares? Ali’s dubious background is questionable . Go check it out. Where would ANdrews move? Could consolidate with Notre Dame or AUC! If it ain’t broken don’t fix it. Woe iz me! Richard, I would reply to your comment, but I am on a social media fast. I am abstaining from making any comments on this site. I like the Andrews spokes-model’s name, “Meesha Waka.” Reminds me of the city of “Mishawaka” in Northern Indiana next to South Bend, not too far from Berrien Springs where The Greatest lived for several years. May he rest in peace. Andrews should take a bold step to increase the profile of Adventist education. I propose moving to San Francisco, somewhere in between USCF Medical School and the (Catholic) University of San Francisco. Andrews University of San Franciso, has a nice ring, dontcha think? Then think expansion, growth, think big, the message to all the world, that’s what Donald Trump would say . . . Andrews University of Seattle, Andrews University of Los Angeles, Andrews University of Denver, Andrews University of Chicago, Andrews University of Miami, Andrews University of Boston, Andrews University of Salt Lake City, Andrews University of Las Vegas, and so forth. Andrews University of Moscow . . . Andrews University of Peking . . .
Andrews University could even partner up . . . Andrews Trump University. Maybe even Andrews President Trump Memorial University, he’ll be open to having a memorial university named after him the day he gets elected. Maybe he’ll pitch in a few bucks! He already has a memorial university named after him: the fraudulent, phony, scheme called “Trump University.” It is a memorial to his crooked ways. Or maybe Andrews Muhammed Ali Memorial University, I like that too. I mean, we already have the Ellen G. White Memorial Hospital, so why not expand on the idea? You’re on a roll there, Ray. Keep up the good work. Yo, Ray-We could include a degree in pugilistic persuits. Put a square circle in that fine arts building there. Have a student vs faculty tournaments. Village interests vs students. Local church administration vs anybody who will take the dare. Alumni, etc. You hire me as the marketing & PR agent and I will bring big bucks to Berrien Springs. Free Little Debbies to the first 10,000 ticket holders. Bobble head dolls around graduation time. My mind is just spinning with ideas. Woe iz me!!!!!!!! Too many ideas spinning in your head, will make you crazy. Back to your padded cell, Sir. Richard! Yo, Dr. Benny-Is it possible to move Ali’s home from Louisville to some special spot at Historic Adventist Village in Battle Creek? After all, he was connected to the SDA Church indirectly. It’s all about the PR. I want to help. I’ll as The Donald about that. By the way, the Clintons are getting buried in their own dirt now….and Bernie Sanders is holding the shovel. Is it true that Hillary gave Bill a black eye, and Bill’s secretary claimed it was caused by Bill’s allergy to coffee? Yes, that is true. She broke a vase on his face. All to often, we love things and use people. It should be the other way around: we should use things and love people.